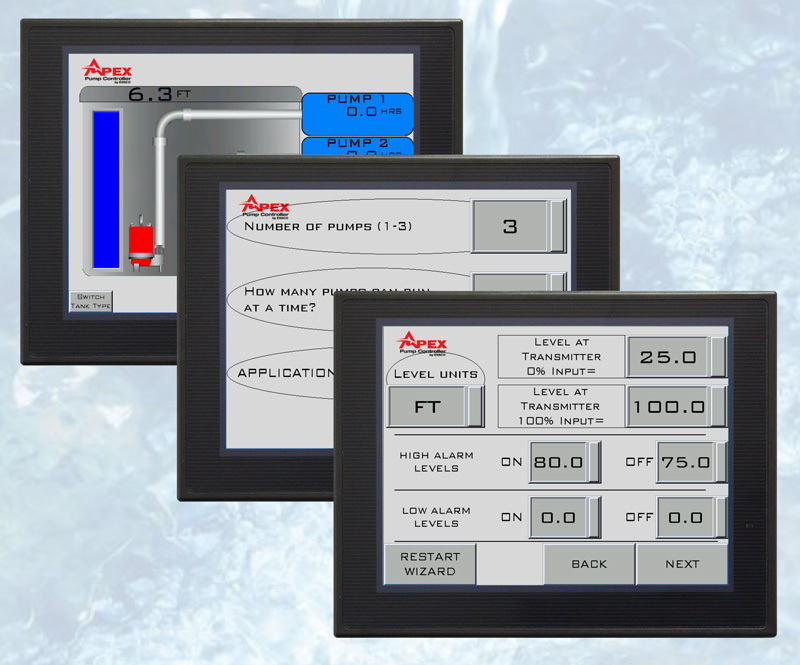 The APEX Pump Controller automatically controls up to three pumps connected to variable speed drives, soft starters or across the line starters. Perfectly suited for new installations or to retrofit and upgrade existing pumping applications. The pump controller is easily configured by a Wizard at power-up. The Wizard steps you through the configuration process by asking questions about your application. Unique industry leading set up Wizard allowing for a simple question and answer format to configure the Apex. The controller will be automatically configured and ready to operate based on your response to the Wizard questions.